Sunweb™ - Let Shopping become easier! Style: Tree Topper Star Lights. Size: approx. 18 x 16cm (H x W). Number of LED bulbs: 10 LEDs. Plug type : EU Plug. Application: Market Engineering lighting, architectural decoration, decoration of trees along streets, parks, decoration, decorative river, urban night lighting. Number of LED bulbs : 10 LEDs. 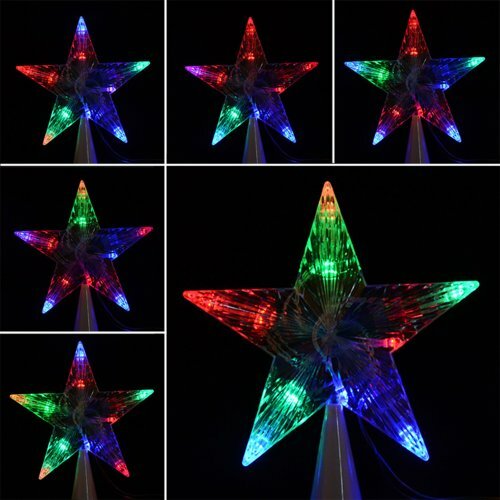 Package Content:1 x Tree Topper Star Lights (EU Plug).